We are professional waterproof led tube factory and supplier in China.We can produce waterproof led tube according to your requirements.More types of waterproof led tube wanted,please contact us right now! 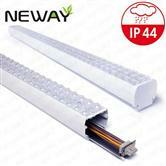 NEWAY LIGHTING professional R&D, manufacturing and sell 40mm IP65 Waterproof LED Tube Lights 40W 52W energy saving LED lighting. If you want to know more 40mm IP65 Waterproof LED Tube Lights 40W 52W, or interested in our 40mm IP65 Waterproof LED Tube Lights 40W 52W, please free to contact us. 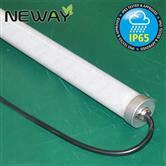 NEWAY LIGHTING professional R&D, manufacturing and sell 50mm IP65 Waterproof LED Tube Lights 48W 60W energy saving LED lighting. If you want to know more 50mm IP65 Waterproof LED Tube Lights 48W 60W, or interested in our 50mm IP65 Waterproof LED Tube Lights 48W 60W, please free to contact us. 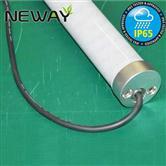 NEWAY LIGHTING professional R&D, manufacturing and sell 60mm IP65 Waterproof LED Tube Lights 48W 60W energy saving LED lighting. If you want to know more 60mm IP65 Waterproof LED Tube Lights 48W 60W, or interested in our 60mm IP65 Waterproof LED Tube Lights 48W 60W, please free to contact us. 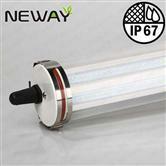 NEWAY LIGHTING professional R&D, manufacturing and sell 70mm IP65 Waterproof LED Tube Lights 50W 60W energy saving LED lighting. If you want to know more 70mm IP65 Waterproof LED Tube Lights 50W 60W , or interested in our 70mm IP65 Waterproof LED Tube Lights 50W 60W, please free to contact us. 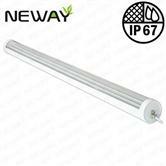 NEWAY LIGHTING professional R&D, manufacturing and sell 70mm IP65 Multiple link connections Waterproof LED Tube Lights 120W 180W energy saving LED lighting. If you want to know more 70mm IP65 Multiple link connections Waterproof LED Tube Lights 120W 180W ,or interested in our 70mm IP65 Waterproof LED Tube Lights, please free to contact us. 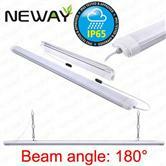 NEWAY LIGHTING professional R&D, manufacturing and sell IP65 Waterproof LED Linear Light 36W 48W 60W energy saving LED lighting. If you want to know more IP65 Waterproof LED Linear Light 36W 48W 60W, or interested in our IP65 Waterproof LED Linear Light 36W 48W 60W, Please free to contact us. 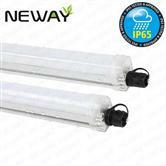 NEWAY LIGHTING professional R&D, manufacturing and sell PMMA Tube IP67 Waterproof LED Tube Lights 20W 30W 40W 50W 60W energy saving LED lighting. If you want to know more PMMA Tube IP67 Waterproof LED Tube Lights 20W 30W 40W 50W 60W, or interested in our PMMA Tube IP67 Waterproof LED Tube Lights 20W 30W 40W 50W 60W, please free to contact us. 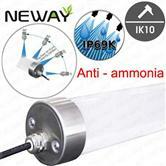 NEWAY LIGHTING professional R&D, manufacturing and sell IP69K Anti-ammonia, Hot steam scour(Steam flushing and Cleaning), waterproof,Dustproof LED Tube Lights 20W 30W 40W 50W 60W energy saving LED lighting. If you want to know more IP69K Anti-ammonia, Hot steam scour(Steam flushing and Cleaning)20W 30W 40W 50W 60W,please free to contact us. 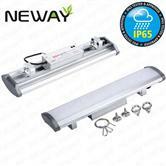 NEWAY LIGHTING professional R&D, manufacturing and sell IP65 LED Tri-Proof Light waterproof,dustproof 80W 120W 150W 200W, 600mm 900mm 1200mm 1500mm energy saving LED lighting. If you want to know more IP65 LED Tri-Proof Light waterproof,dustproof 80W 120W 150W 200W, 600mm 900mm 1200mm 1500mm, please free to contact us. 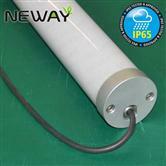 NEWAY LIGHTING professional R&D, manufacturing and sell IP65 LED Tri-Proof Light waterproof,dustproof 20W 30W 40W 60W, 600mm 900mm 1200mm 1500mm energy saving LED lighting. If you want to know more LED Tri-Proof Light waterproof,dustproof 20W 30W 40W 60W, 600mm 900mm 1200mm 1500mm, please free to contact us. 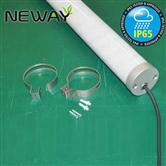 NEWAY LIGHTING professional R&D, manufacturing and sell 80mm IP67 Waterproof dustproof LED Tube Lights 600mm 20W 1200mm 40W 1500mm 60W energy saving LED lighting. If you want to know more 80mm IP67 Waterproof dustproof LED Tube Lights 600mm 20W 1200mm 40W 1500mm 60W, please free to contact us. 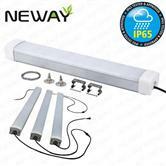 NEWAY LIGHTING professional R&D,manufacturing and sell IP65 LED Tri-Proof Light waterproof,dustproof LED Lights 600mm 30W 900mm 40W 1200mm 50W 60W 1500mm 60W 80W energy saving LED lighting.If you want to know more IP65 LED Tri-Proof Light waterproof,dustproof LED Lights 600mm 30W 900mm 40W 1200mm 50W 60W 1500mm 60W 80W, please free to contact us. 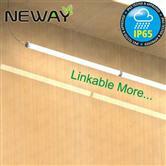 NEWAY LIGHTING professional R&D, manufacturing and sell IP44 waterproof,dustproof (DALI dimm 0-10v dimm), Multiple Linkable connections LED Linear Light 36W 72W energy saving LED lighting. If you want to know more IP44 waterproof,dustproof (DALI dimm 0-10v dimm), Multiple Linkable connections LED Linear Light 36W 72W, please free to contact us. 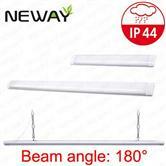 NEWAY LIGHTING professional R&D, manufacturing and sell IP44 LED Linear Tube lights Suspended Ceiling DALI 0-10V dimmable 10w 20w 30w 40w 60w 80W energy saving LED lighting. If you want to know more IP44 LED Linear Tube lights Suspended Ceiling DALI 0-10V dimmable 10w 20w 30w 40w 60w 80W, please free to contact us. 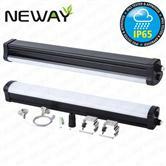 NEWAY LIGHTING professional R&D, manufacturing and sell waterproof IP65 LED Linear tube Lights(Tri Proof Light) 600mm 20W 900mm 30W 1200mm 40W 1500mm 60W energy saving LED lighting. If you want to know more waterproof IP65 LED Linear tube Lights(Tri Proof Light) 600mm 20W 900mm 30W 1200mm 40W 1500mm 60W, please free to contact us. 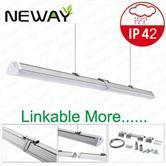 NEWAY LIGHTING professional R&D, manufacturing and sell IP42 LED Linear Light Linkable connection 20W 40W 60W 1200MM 1500MM energy saving LED lighting. If you want to know more IP42 LED Linear Light Linkable connection 20W 40W 60W 1200MM 1500MM, please free to contact us. 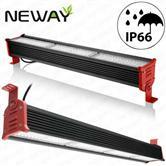 NEWAY LIGHTING professional R&D,manufacturing and sell IP66 LED Linear tube HighBay Flood Light 50w 100w 300w 400w energy saving LED lighting.If you want to know more IP66 LED Linear tube HighBay Flood Light 50w 100w 300w 400w ,or interested in our IP66 LED Linear tube HighBay Flood Light 50w 100w 300w 400w, please free to contact us. If you cannot find the information you want, you can search for more products Waterproof LED Tube Information is through here. 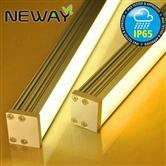 We are dedicated to providing you with more Waterproof LED Tube Manufacturer. Anyway, thanks again for your kind patronage!